Evoking rustic charm, this welcoming facade in stone and rough sawn timbers is accented with arched windows and shutters. 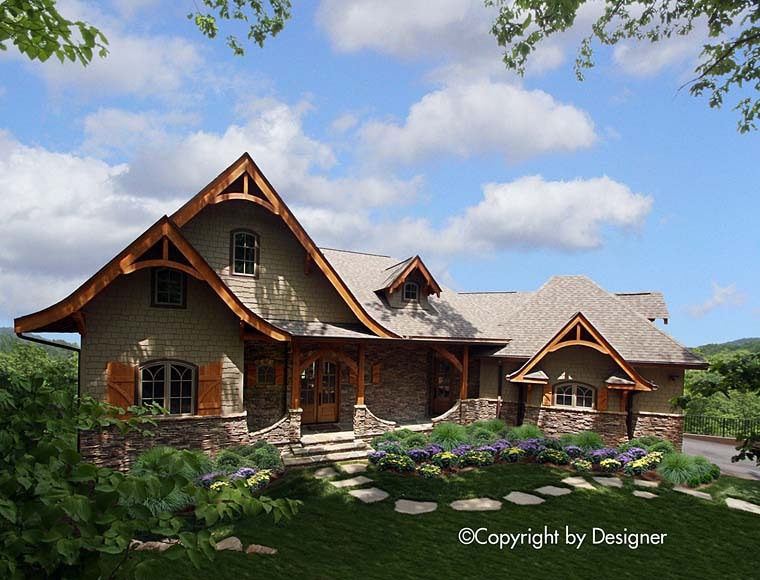 This open flowing floor plan boasts a private master suite with access to a covered porch. 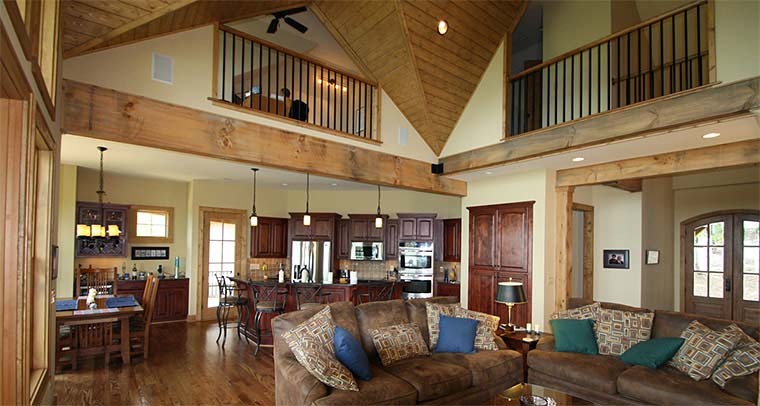 An optional second floor provides a spacious loft and storage area. 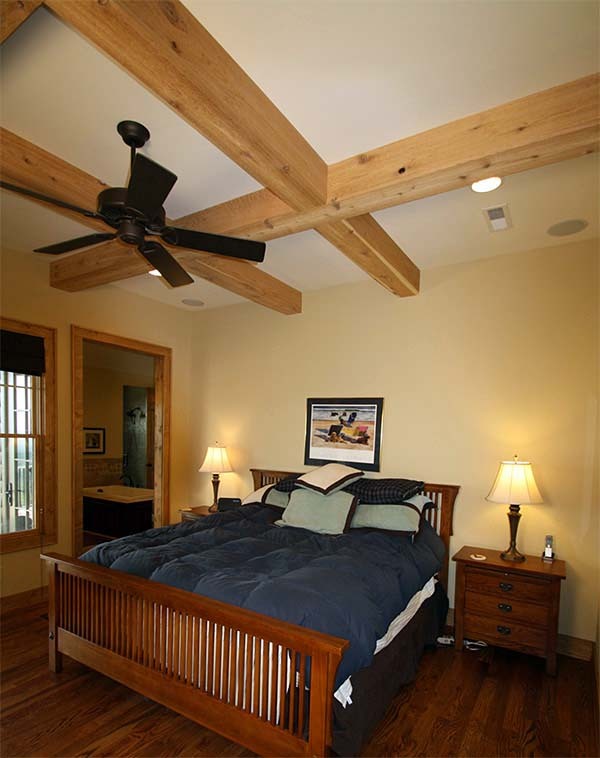 The available terrace level has two additional bedroom suites and an expansive social area. 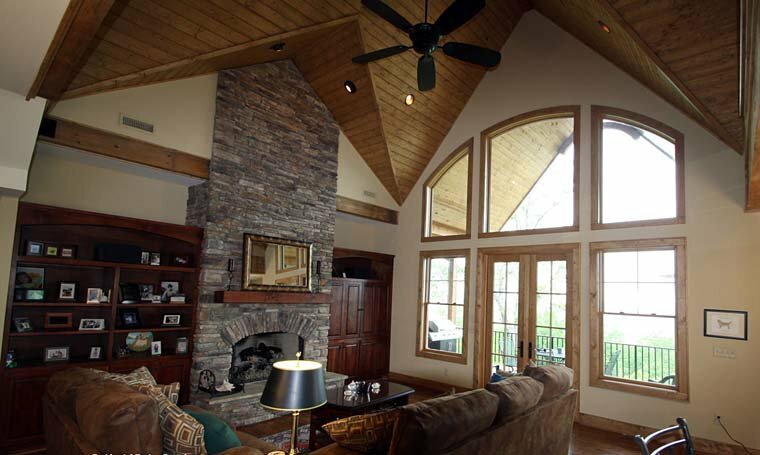 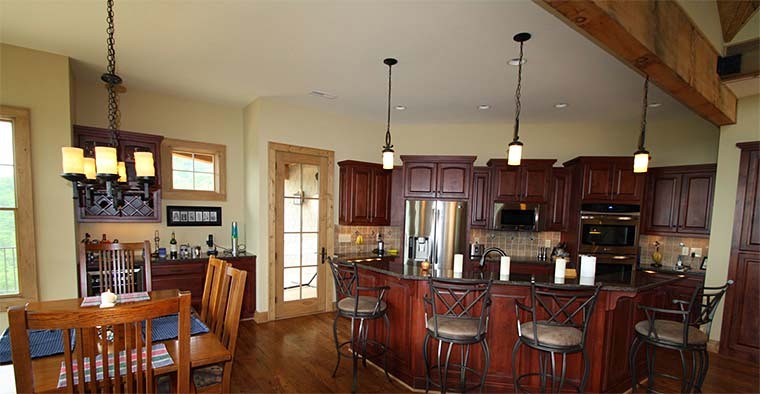 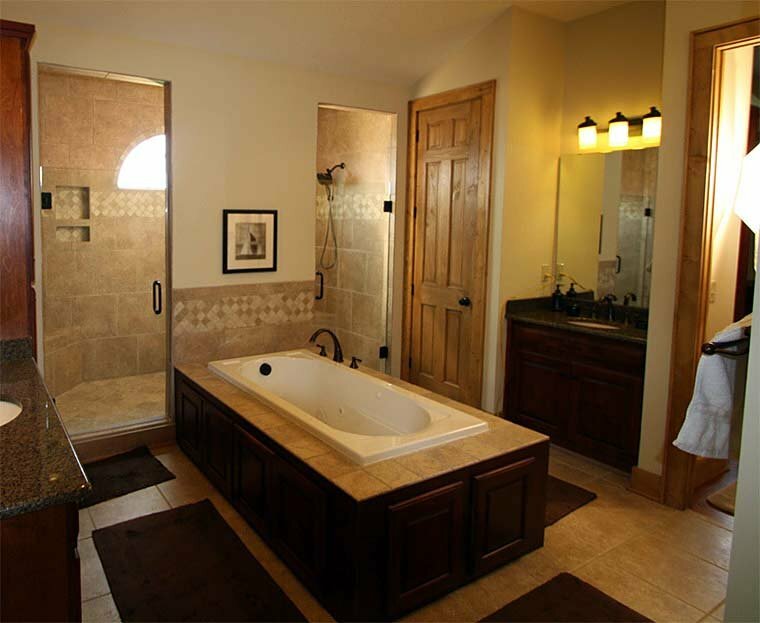 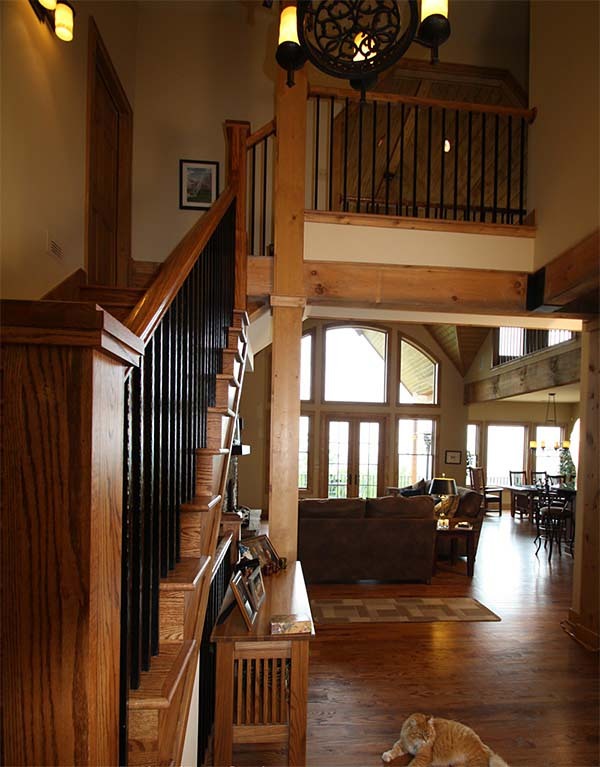 We offer floor plan modifications on all of our craftsman style house plans. Click Here to download a free PDF Brouchure of Plan Number 97607.